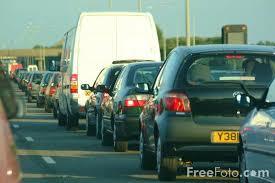 The high cost of fuel has reduced the number of cars on Britain’s roads by 12% a survey suggests. It would appear that standard pricing theories have been proven again with the high prices of fuel meaning people are driving less on the roads. Not only that but road congestion has eased also. The study by Trafficmaster, which has 7,500 cameras monitoring the UK’s roads, showed the number of alerts generated (indicating slower speeds and perhaps a road blockage) had fallen by 12%. As the oil price increases so does the cost of petrol and diesel – this has doubled in the past couple of years to a record £1.20 (or more at some garages). The credit crunch is also to blame. New car sales have plumeted as has the used car market. Many families are ditching their second car because they simply can’t afford it any longer. So this is a positive step for the environment even in these tough times.